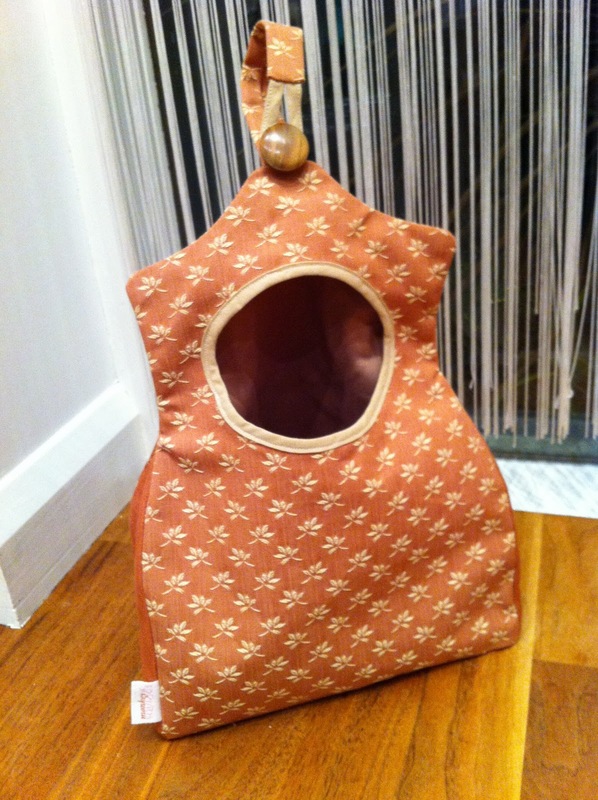 Monkey and Squidge: A day of sewing! I had a change of direction today and decided that with 16 sock monkeys finished and 4 just needing their ears and smiles sewn on, oh yeah and the two that need everything doing… that I now had the sock monkeys pretty much in the bag… and actually I mean that literally! 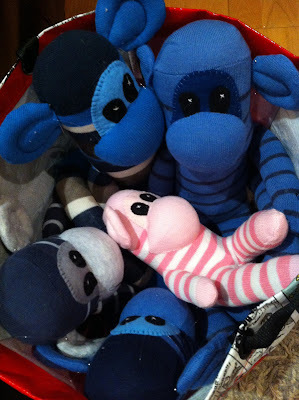 There's my new baby sock monkey in there too, you can see how small she is… very cute! So then my change in direction ended up with me making one peg bag and nearly finishing another, yay! I only took a photo of the finished one and it's not the best photo but I'm glad to be blogging about something other than sock monkeys!!! (even though it's only a quick blog). …and yes, your right if you think it looks familiar. 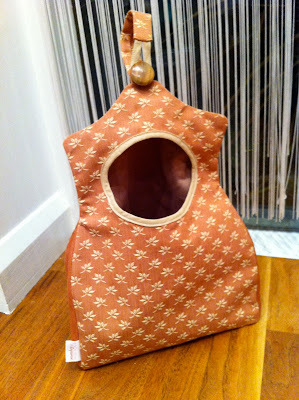 I have used this fabric for my peg bag before but there is a slight difference to the shape and the button… and my label! A day of bags tomorrow me thinks, I have found some fabulous fabric in my stash so I have to admit I'm quite excited. Roll on tomorrow. Thanks for looking and please feel free to leave a comment.